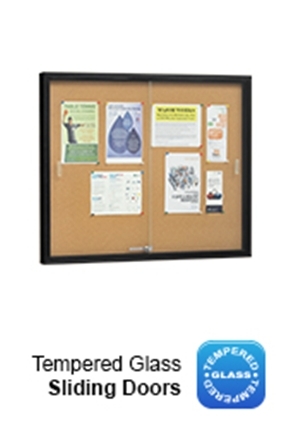 Fabric Boards have Many Sizes Available for Every Need! 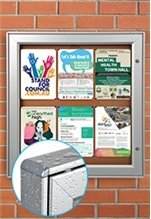 These cork displays, fabric boards make a perfect addition to many different locations that wish to give passersby and patrons an easy way to see important information. 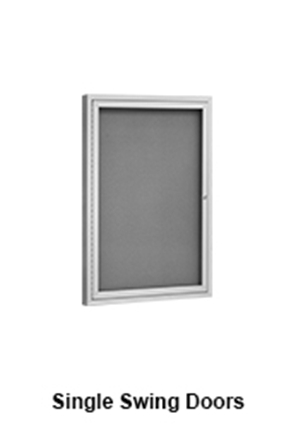 With many different sizes and board types to choose from, there is sure to be a unit that will work for your needs. 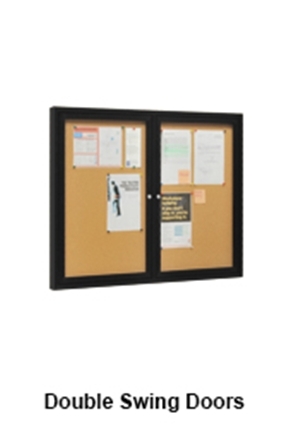 The fabric pin boards make displaying heaps of information in a public area a simple task, with many features that help ensure the case contents are secure wherever they are placed. 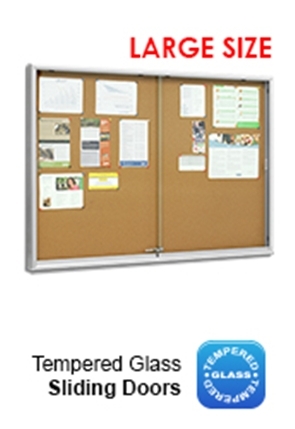 These fabric boards, also known as corkboards, notice board displays, & covered pinboards, have a wide selection of options so that your business, no matter the type, will have an effective display. 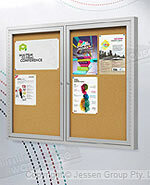 These corkboards are found in universities, transit stations, information centres, museums, exhibition halls, community centres, office parks, and more to help communicate information to customers. Transit stations typically post train time table boards, adverts, and details about upcoming projects or renovations. Universities and community centres post class schedules, upcoming events, social gatherings, and other such details. 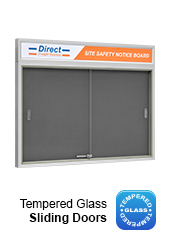 These are effective displays as they are easily read by passersby without compromising on protection of the interior of the case. 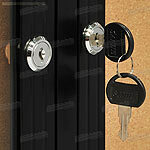 These are all locking displays, with each individual featuring its own lock (which all use the same key). 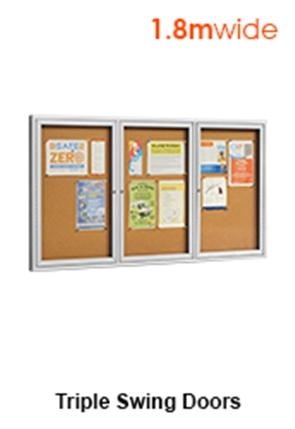 The lock means you can use these memo board units in public areas without worry of the case contents being tampered, providing a truly secure display that will give you peace of mind. 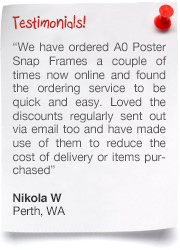 These aluminium displays will last for years to come in any location. Choose a black or silver finish in order to better fit in your with your décor whilst providing a striking display that will surely get passersby attention. There are different board options to choose from: those covered with fabrics (with grey & teal choices), and others are a normal looking corkboard. 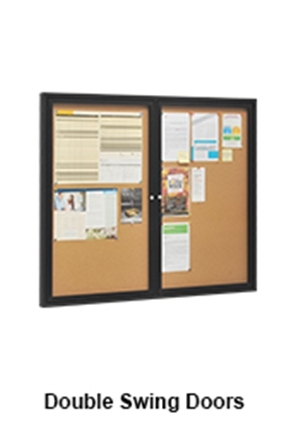 No matter what style, the main board is always a self-healing corkboard that will last for years to come. 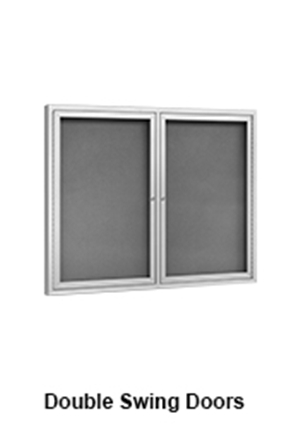 These indoor displays have single, double, and triple doors to choose from, with the various sizes able to better suit the different needs of customers. 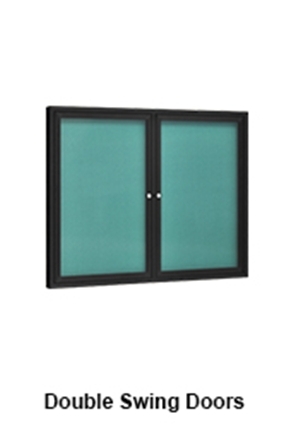 These doors feature high-impact polycarbonate front panels that are as easy to see through as glass, but also very strong to hold up to every day use. 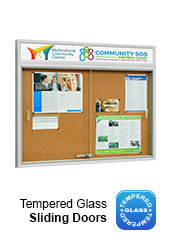 Installation of the glass noticeboards is simple as well. There is hardware included for mounting the unit on convenient bars located on the back of the frame that secure the unit to the wall. If unsure that the included hardware is appropriate for your wall, please consult with a local professional prior to installation. 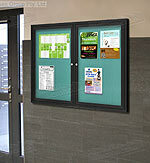 Check out all of our displays today to find the proper lockable bulletin display for use at your business! 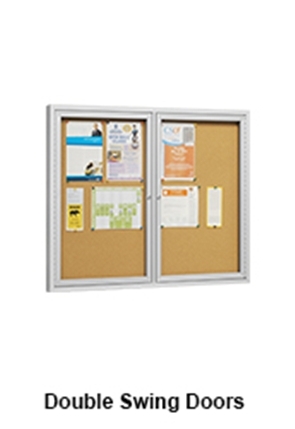 There is a huge selection of different notice bulletin board displays that help you find the right one for the needs of your location. Different backing materials are used in order to allow your business to best fit your décor. We offer both enclosed versions, like the ones featured on this page, as well as open-face that are perfect for use at universities, offices, and conference centres for teachers and presenters to use to show lecture notes, formulas, and more to an audience. 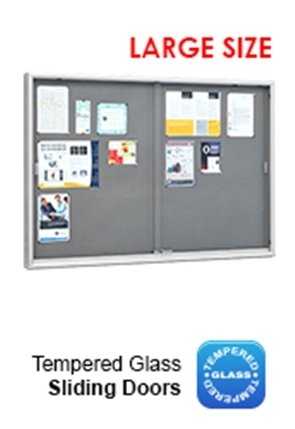 The different sizes of swing door noticeboard options available include 1830 x 915mm, 1525 x 1220mm, 960 x 715mm & 1220 x 915mm. 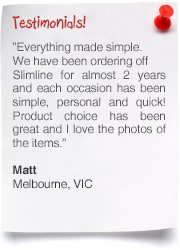 See more details on the individual product pages. 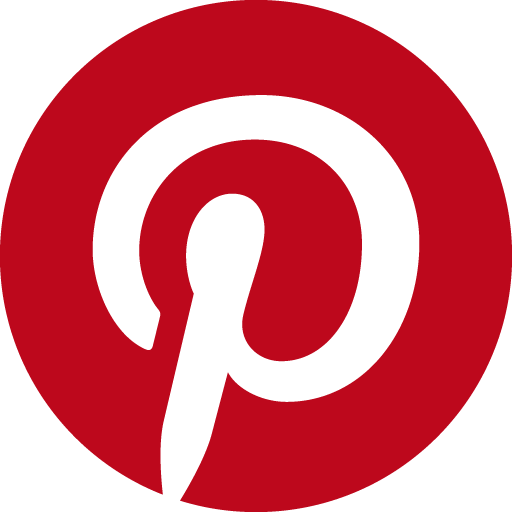 By clicking here, you will see our entire range of products. 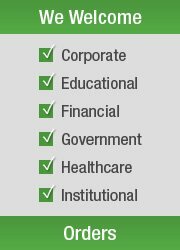 There are literally hundreds of different options to choose from in a variety of categories to ensure you gain an edge over the competition without breaking the bank. Our range currently includes cafe banners, standoffs, lecterns, exhibition displays, event banners, whiteboards, poster stands, iPad stands, outdoor displays, lightboxes, sidewalk signs, cable displays, & so many more. 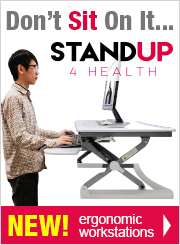 We add new products weekly to stay current the latest trends & technologies! 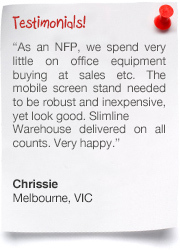 Slimline Warehouse has been a leading provider of high quality goods to Australians for over 20 years. 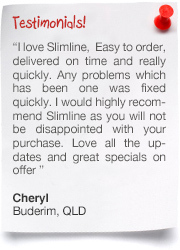 We work hard to find high-quality products that we can offer at low prices to help your business succeed. 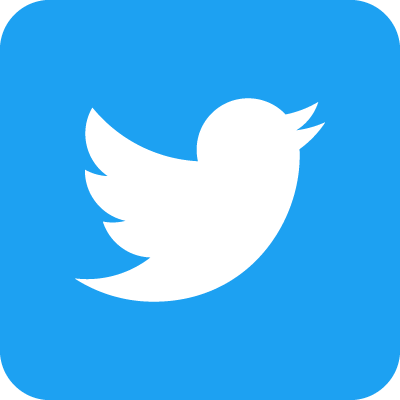 Any questions regarding specific products can be answered by our expertly trained customer service staff, on hand during normal business hours. 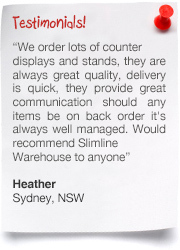 Most in stock products will despatch same day when ordered by 1pm EST from our warehouse. 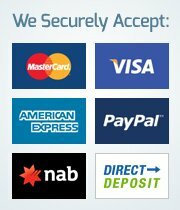 Purchase for your business today in Gold Coast, Bendigo, Melbourne, Brisbane, Darwin, Hobart, Sydney, Perth, Toowoomba, Canberra, Alice Springs, Newcastle, & Cairns!